From July 7th 2010, your favorite comic book characters from Marvel will be heading to LittleBigPlanet. Although MediaMolecule has kept the costumes a secret, they did reveal a total of 20 Marvel costumes will be available to download for the game including Captain America, Daredevil, Spider-Man and more (see full list below). 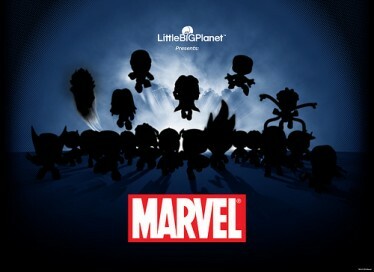 LittleBigPlanet will also be getting a Marvel Level Kit, which includes four levels of adventure against the evil plans of Magneto. And of course, while you play through the levels, you’ll collect a huge assortment of Marvel-themed music, objects, materials, stickers, and a special “Rooftop” background to help you CREATE your own dastardly levels.